Tahoe Fracture & Orthopedic Medical Clinic is pleased to announce that open MRI technology is now available to patients in South Lake Tahoe, California, and the surrounding areas. Our doctors have long used MRIs to diagnose a variety of orthopedic conditions, as MRIs can provide more detailed images of soft tissues, as compared to X-rays. Now, thanks to our innovative open MRI machine, we can offer patients the same diagnostic services in a more comfortable setting. Bulging or herniated discs — A spinal disc bulges when pressure causes the nucleus pulposus (the soft material inside) to press against the annulus fibrosus (the tough outer shell). Bulging can lead to herniation when the annulus fibrosus develops a tear, allowing the nucleus pulposus to leak out into the surrounding area. Doctors may use an MRI to confirm the presence of bulging or herniated discs. Spinal stenosis — Spinal stenosis occurs when the spinal canal narrows and, as a result, exerts pressure on the spinal cord and nerve roots contained within. 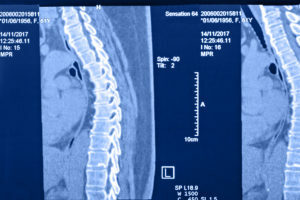 An MRI can be used to detect whether the spinal canal is narrowed. Pinched nerves — A nerve becomes “pinched” when nearby bones, muscles, or other bodily material begin to exert excess pressure on the nerve. Doctors may use an MRI to confirm the exact location of the compressed nerve. This is particularly helpful when targeted treatment, such as a corticosteroid injection, is required. If you’re hesitant to undergo an MRI, you’re not alone — many people are intimidated by traditional MRI machines, which require them to be enclosed within a tube for the duration of the scan. Fortunately, Tahoe Fracture & Orthopedic Medical Clinic offers state-of-the-art open MRI technology, which allows doctors to perform scans while patients rest on a wide, rotating table. Our open MRI machine is especially useful for pediatric patients, patients of larger size, and claustrophobic patients. If you’ve been told that you need an MRI, or if you’ve been living with chronic neck or back pain and are looking for a solution to the issue, please contact Tahoe Fracture & Orthopedic Medical Clinic today. Our friendly team will be happy to offer you more information about our open MRI technology and help you schedule an appointment at our South Lake Tahoe, CA, office.